I’ve got a new favorite restaurant. 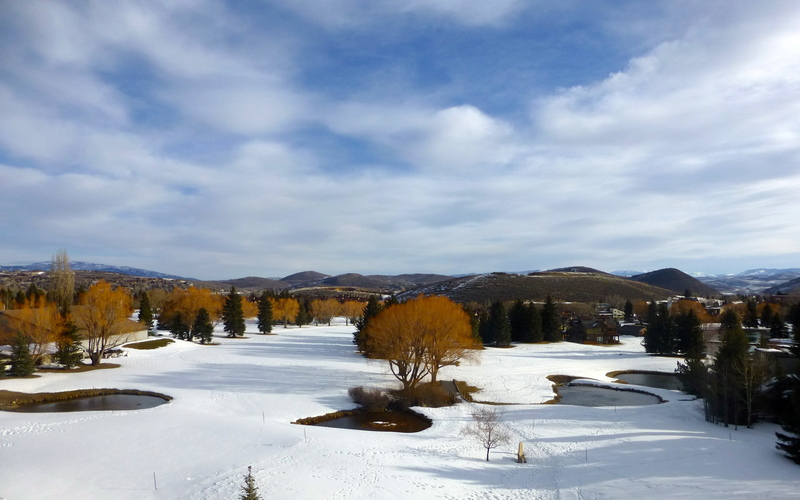 And apparently, it’s one of Park City’s best kept secrets– from locals. 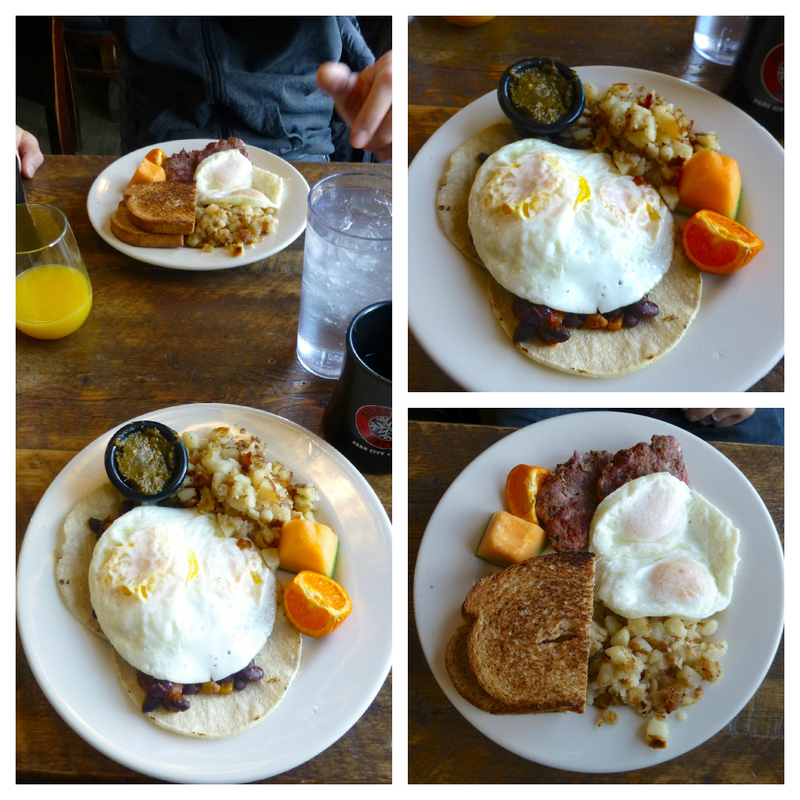 John and I have been on the hunt for a great breakfast place near home. We’ve got the incredible No Worries Café, a fabulous diner in our neighborhood with tasty comfort food. 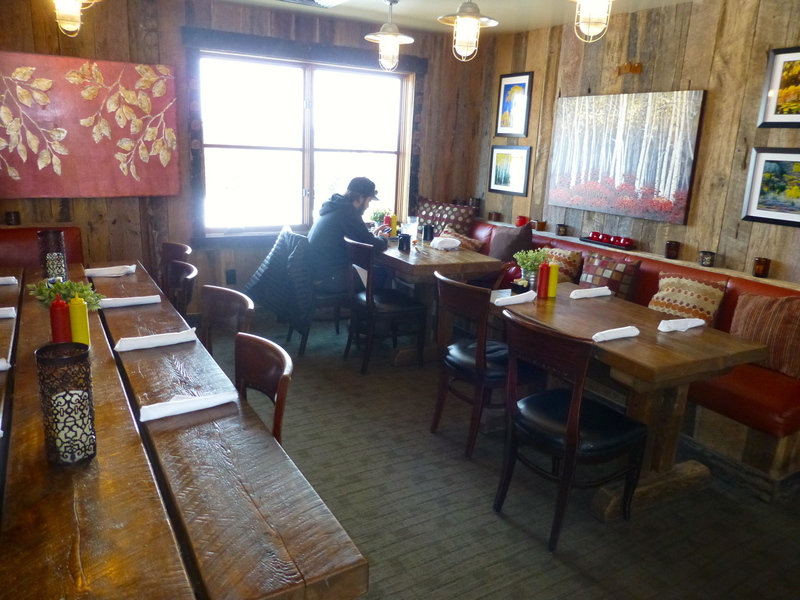 We also wanted to find a cozy local spot with fresh, local ingredients and delicious, clean food. Some days you need granola over grits. 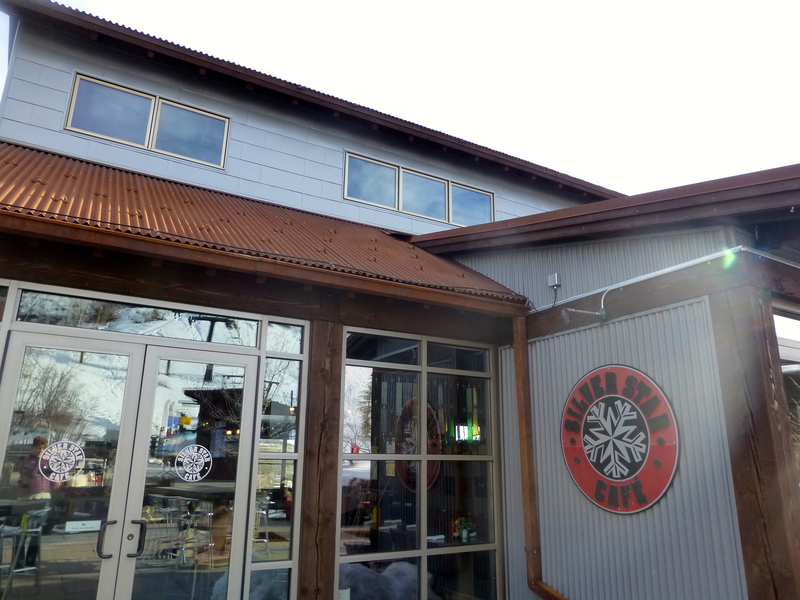 A quick internet search for “breakfast in Park City” brought up a few options. No Worries was listed, along with a few kind of touristy places- none of which really grabbed us. 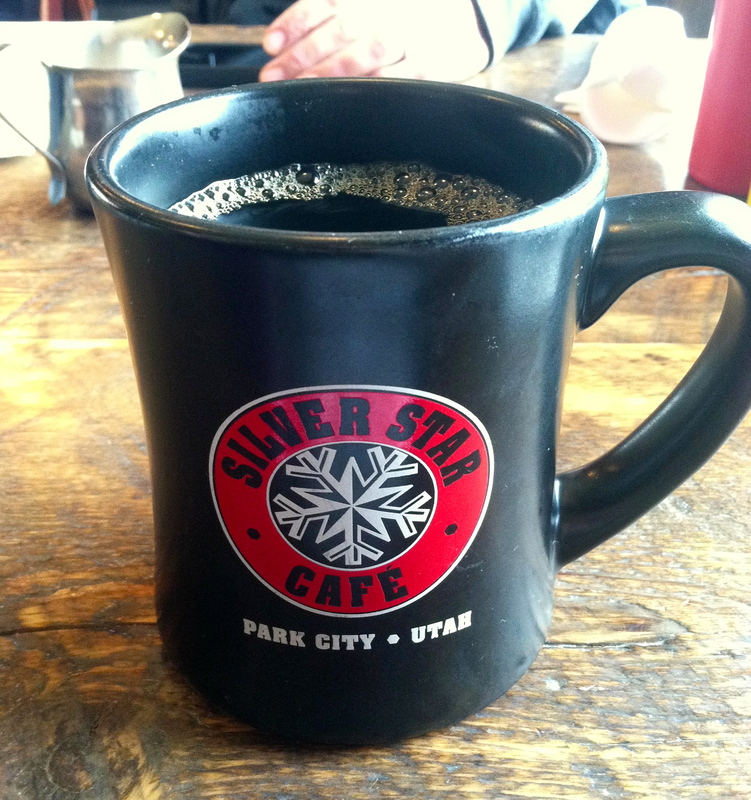 As I scrolled down the search results, I saw Silver Star Café. 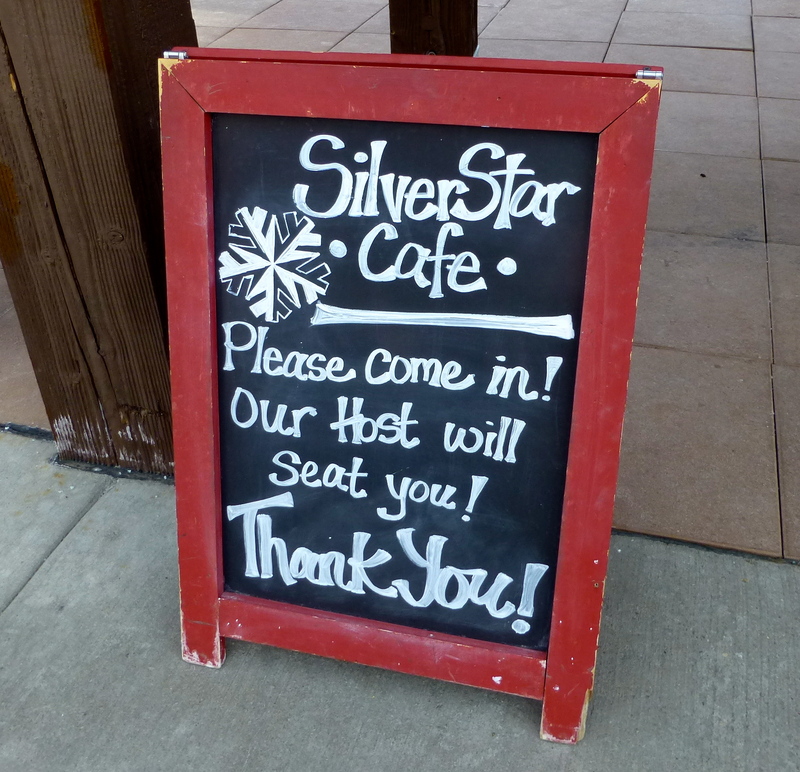 We’d had a houseful of guests recently, and one of them had mentioned the Silver Star Café. She’d met a friend there and had a great meal. She recommended that we go there. In fact, she said I would LOVE it. We’d never heard of it, but after we glanced at the menu briefly, we decided to check it out. The café’s location was unexpected. We turned right before we got to Main Street, toward Thaynes Canyon, heading into a neighborhood tucked under Park City Mountain Resort. Following the directions on my iPhone (the internet strikes again! 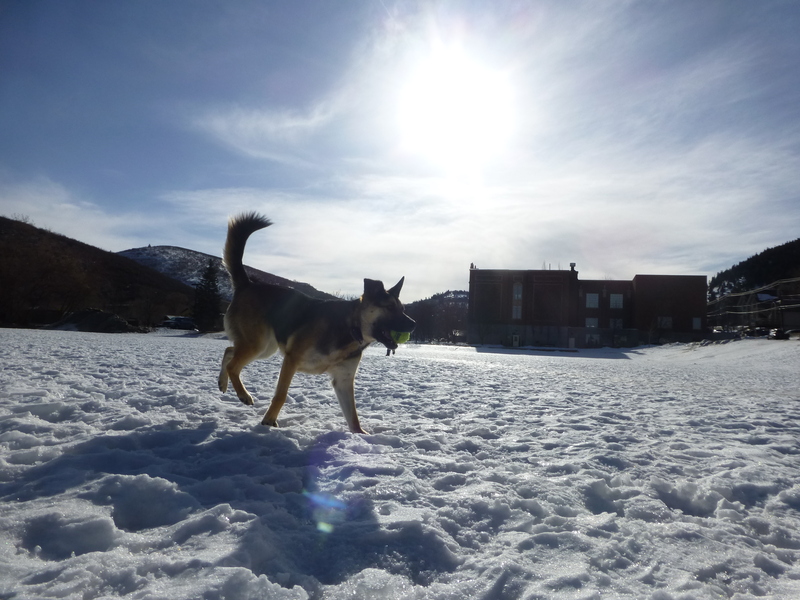 ), we curved around a snow-covered golf course and past some mountain lodge condominiums. Skiers and snowboarders, dressed for a day on the hill, toted their gear toward our destination. We’d reached Silver Star Village. 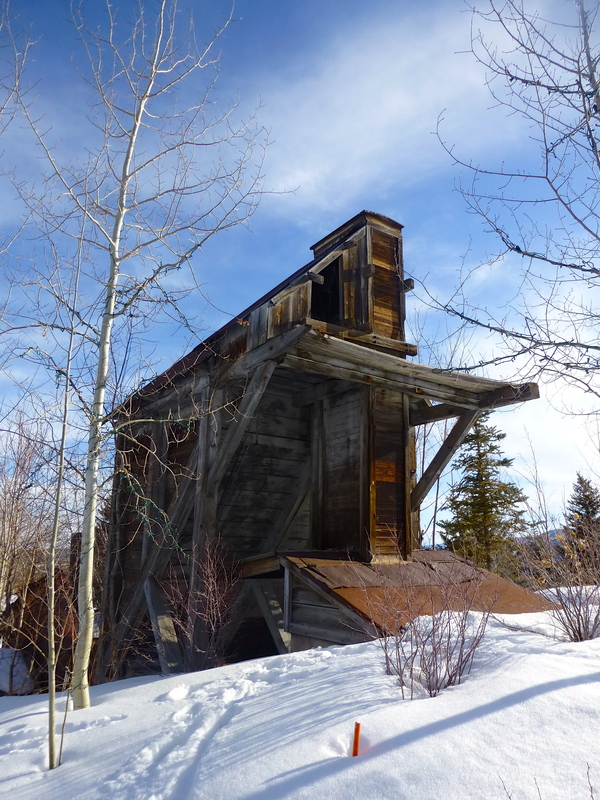 Beautiful new buildings were juxtaposed by the remains of what seemed to be an old mine. Somehow, both worked. 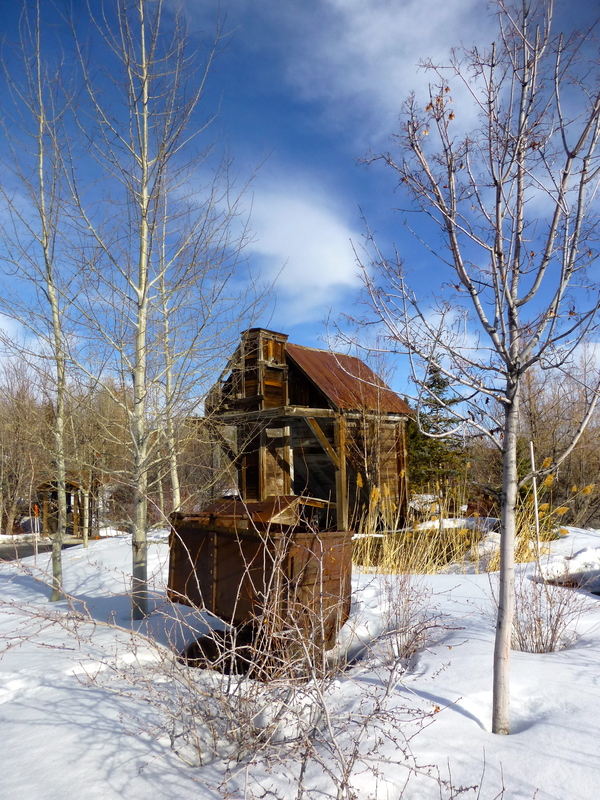 Later, I did a little research on the area and learned that Silver Star Village is, indeed, built on the site of a historic silver mine. 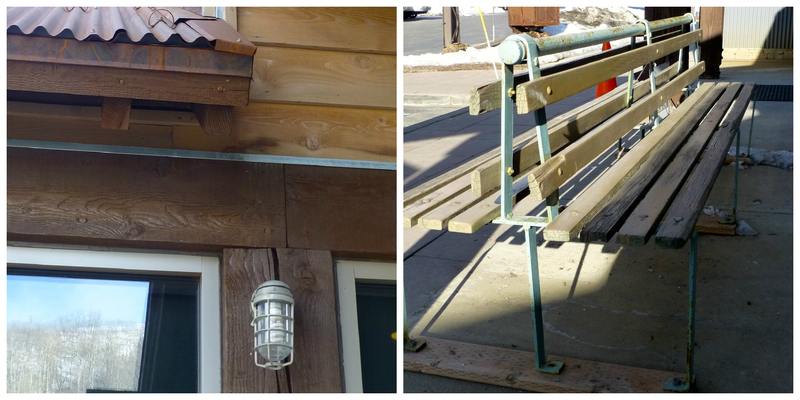 The community is focused on art and recreation, and placed great importance on preserving the historic buildings. 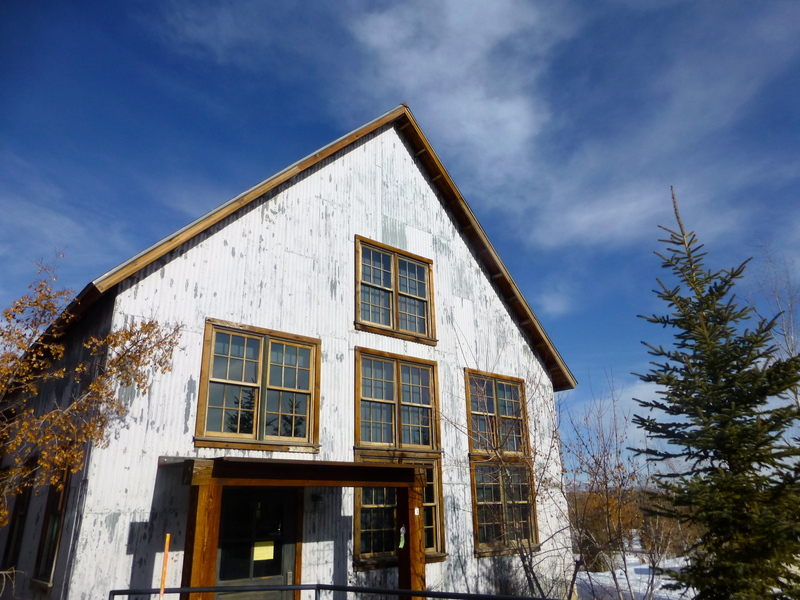 It was even granted the Utah Heritage Award for maintaining the area’s historical legacy and for thoughtful development using appropriate and compatible materials to the site’s original structures. Very cool. 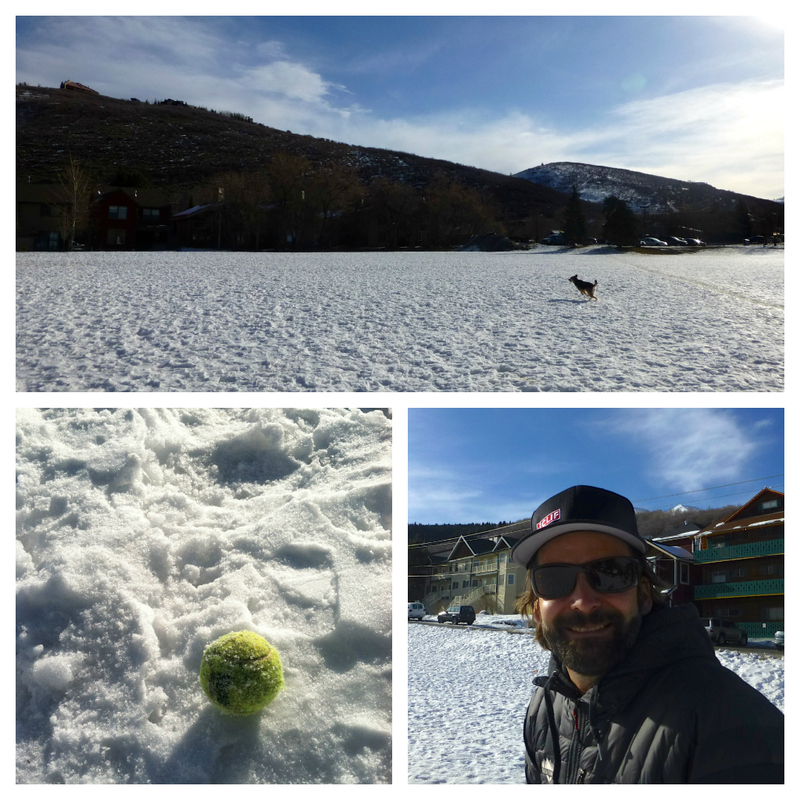 I knew none of this as we walked past a Sundance Institute office and a recreation center, toward the café’s plaza. Cholula barked at a large sculpture of a wolf as I examined stunning mining materials on display. I love this kind of stuff. 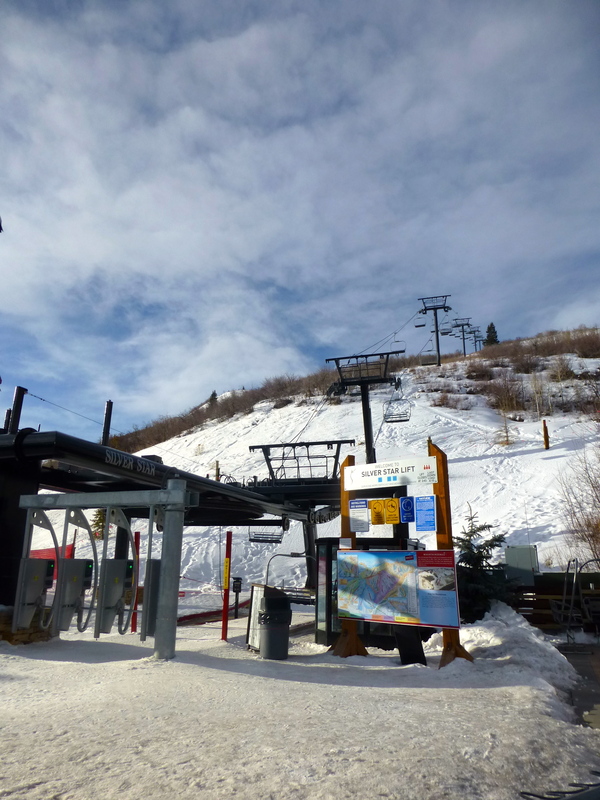 At the end of the plaza, the Silver Star ski lift was beginning to tote early morning snow-lovers to the top of Park City Mountain Resort. 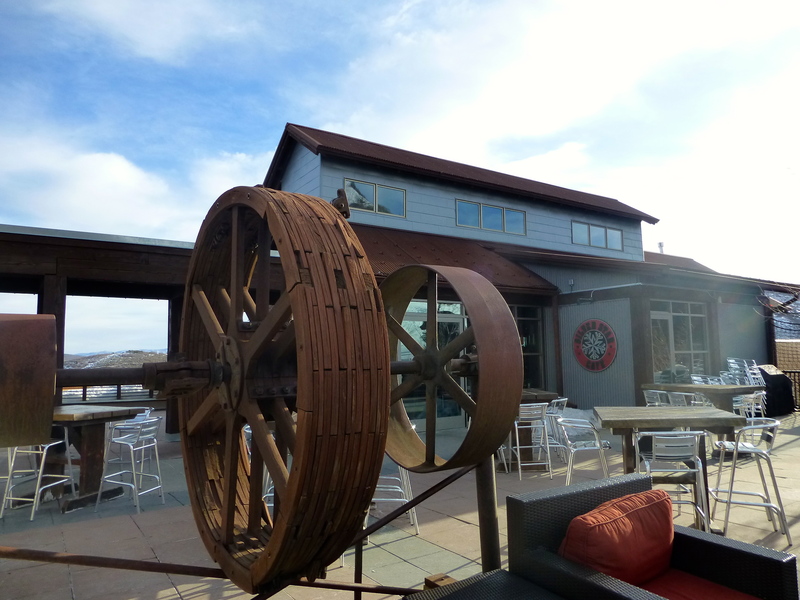 I noticed the industrial architectural touches here and there and we took in the beautiful view of Park City Municipal Golf Course from the patio before making our way inside. What a morning! I wasn’t sure what to expect of the Silver Star Café before we walked in. A friendly sign greeted us, but the metal and glass exterior of the restaurant didn’t adequately prepare me for the warm and rustic vibe I instantly felt inside. Huge beams across the ceiling, wood lining the walls, and a vibrant earthy décor made me feel like we had walked into a homey mountain cabin. 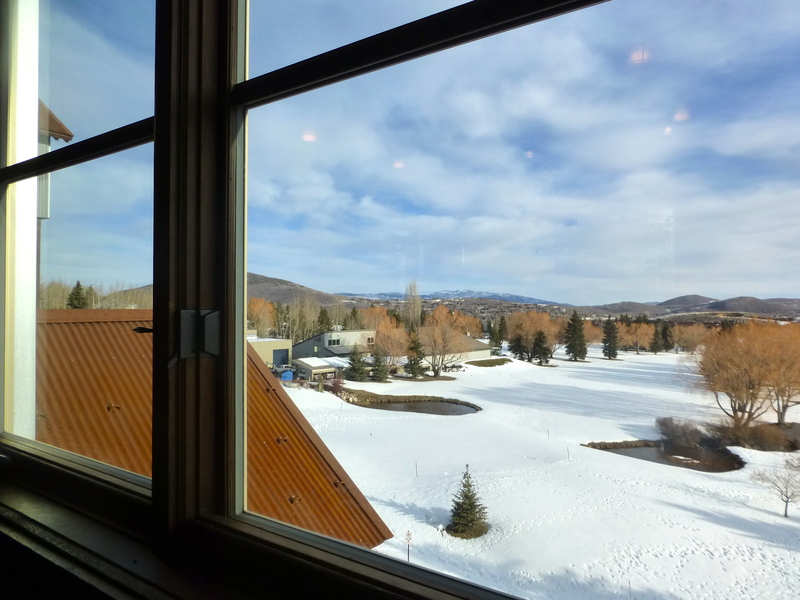 We were welcomed immediately and settled in to the “best table in the house,” a pillow-laden booth on one side with a perfect view of the golf course from the window. The wise waiter had a huge cup of coffee in my hand in under two minutes. 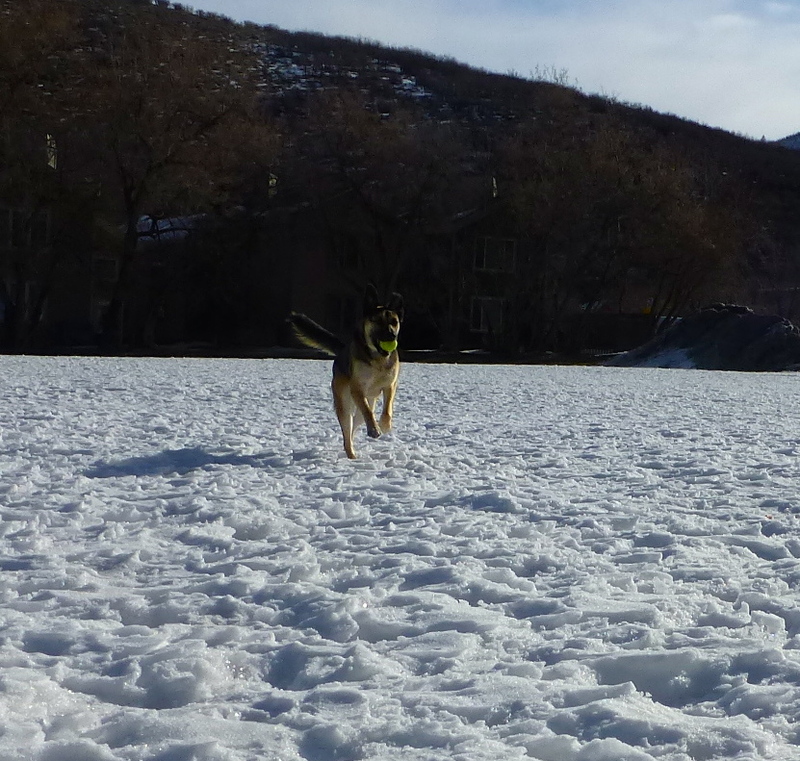 His name was Gilbert, and he’d recently moved to Park City from Jackson Hole. 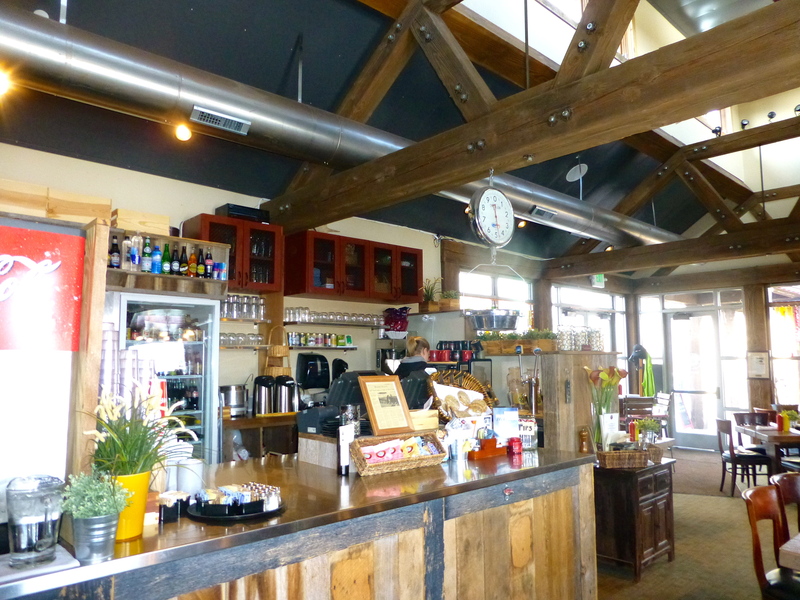 He allowed us plenty of time to sip our java, peruse the menu, and take in the view. The coffee was strong and good. 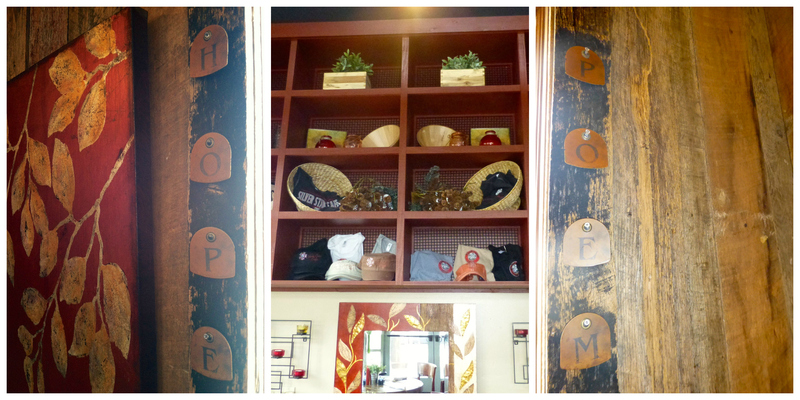 I smiled at the thoughtful décor, somehow a combination of playful and sophisticated with the feel of a mountain lodge. 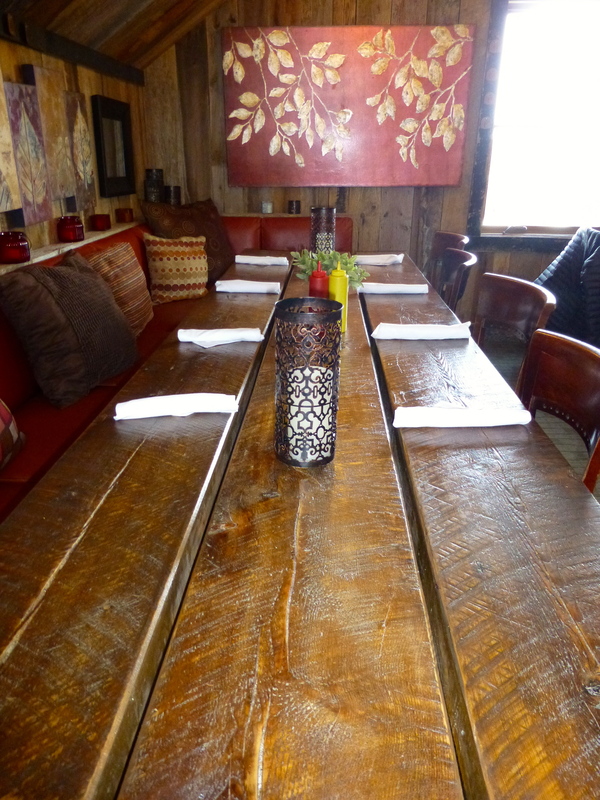 Big, wooden communal tables and single-seat counter options were available. I was already smitten without even having tasted the food. Why hadn’t we heard of this place? The menu wasn’t extensive, but it included all of the basics- turned up a notch. House-made chorizo? Hello. I ordered one of my stand-by breakfasts, my gauge of a good restaurant: Huevos Rancheros. John opted for a simpler 2-egg breakfast. Gilbert affably chatted with us, seeming a tad surprised that we were locals. “Locals don’t really know about us,” he said. Their main client base is tourists staying in the Village or skiers who happen upon the café from the mountain. 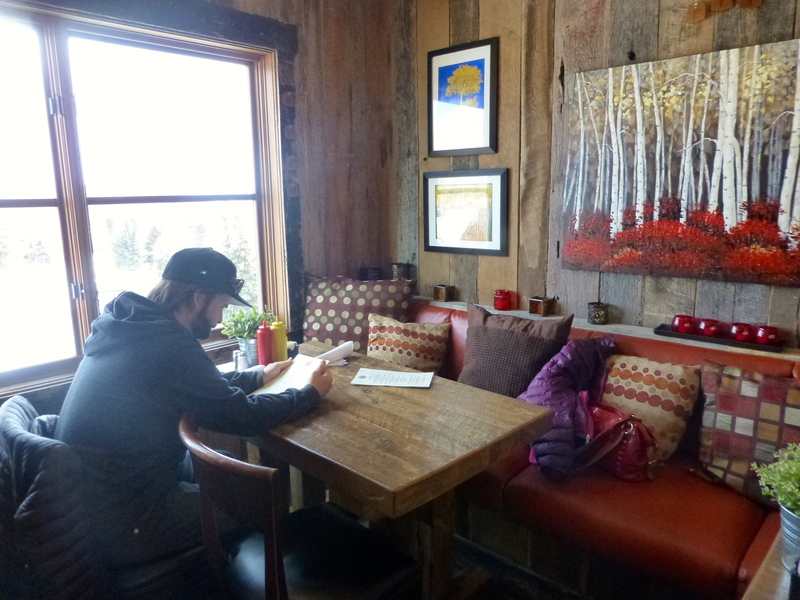 John and I sipped our coffees and reviewed the lunch, dinner, and après ski menus. Items like Five Spice Baby Back Ribs and a charcuterie plate with local meats and cheeses solidified the fact that we’d be back soon for happy hour. 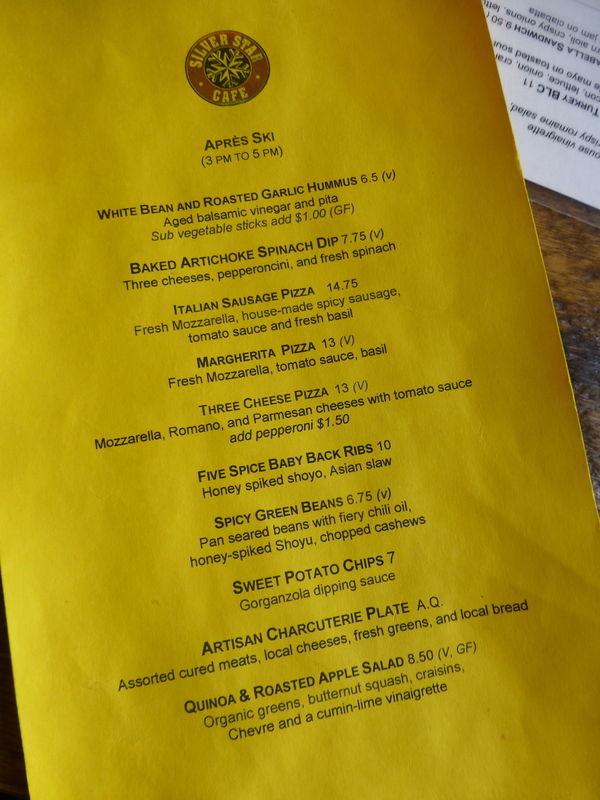 I appreciated that the gluten-free and vegetarian options were marked, and the prices were surprisingly reasonable (considering the café’s proximity to a resort). We learned that the café had live music a few times per week and, in summer, served food on the plaza in the sunshine. 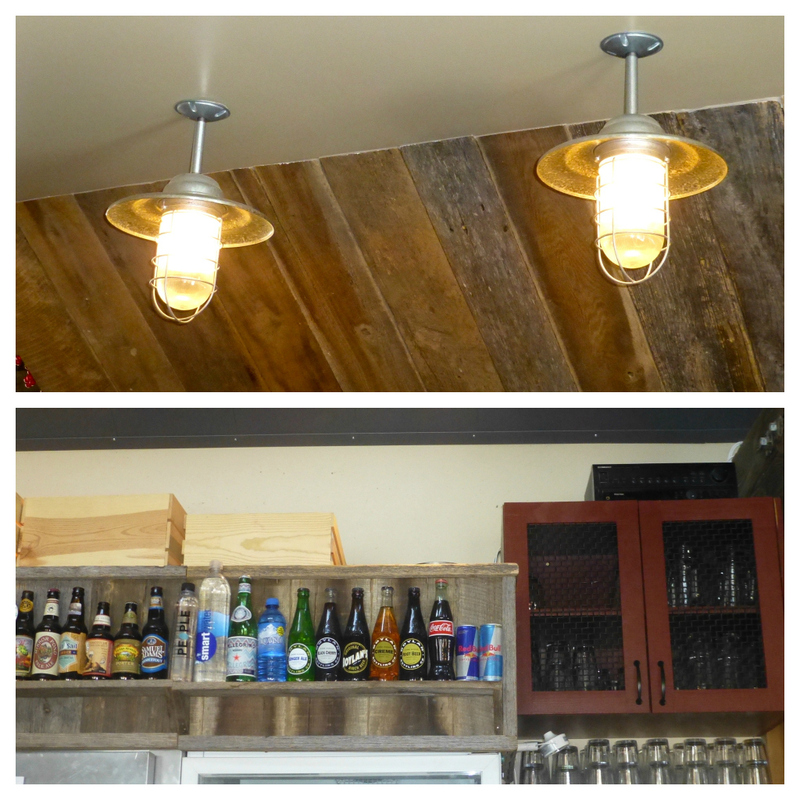 The café serves wine and beer, and offers catering services and take-out ordering, too. Gilbert recommended making a reservation for weekends because the books filled up every week. It made me happy to hear that the café had a lot of business, but we couldn’t figure out why this wasn’t a locals’ favorite. Our breakfasts arrived just in time- my tummy was grumbling. Gilbert pointed out a ramekin of a green chile paste on my plate; it was the café’s house-made “mean green” Serrano chile sauce. “Be careful- it’s spicy!” John and I dug in. The chile sauce was spicy, just the way I like it, and was mellowed out by the slightly sweet black bean and corn ranchero sauce under my eggs. Delicious. I tasted a bite of sausage from John’s plate- homemade and delectable. The Silver Star Café was knocking it out of the park. As we ate, a couple who were clearly from out of town came in to dine. Another couple dropped in to order coffee and a muffin at the counter. I imagined the café at maximum capacity (only 50 people) in the evening, the multiple candles illuminating the warm wood walls and snow falling outside. We have to tell everyone about this place, we said to each other. It is too good to be unknown by locals. 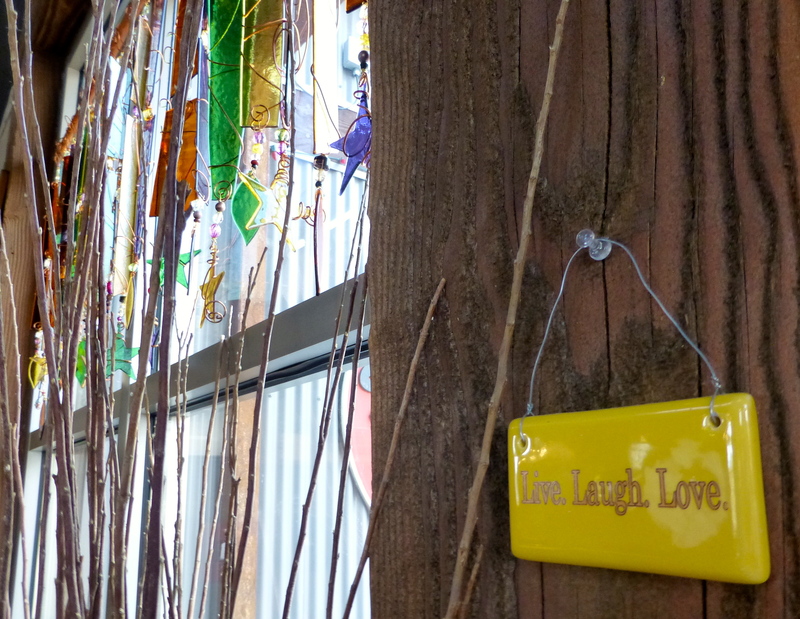 Before we left, I snapped a few photos of the café’s details. 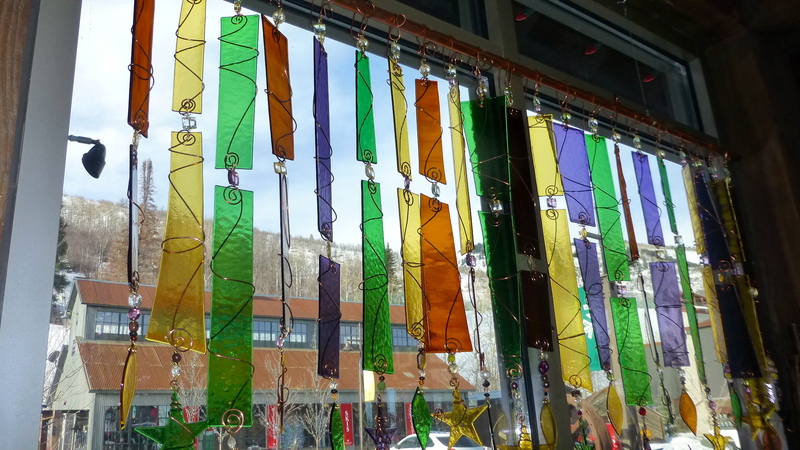 I loved the guitar propped against a wall and the vibrant glass pieces hanging in the sunny window. I spied a few framed local magazine articles giving props to the Silver Star Café. I learned that it had only been open a couple of years and that the current owners had opened some of our favorite restaurants on Main Street. We said goodbye to sweet Gilbert and took a gander at the live music schedule before heading out. 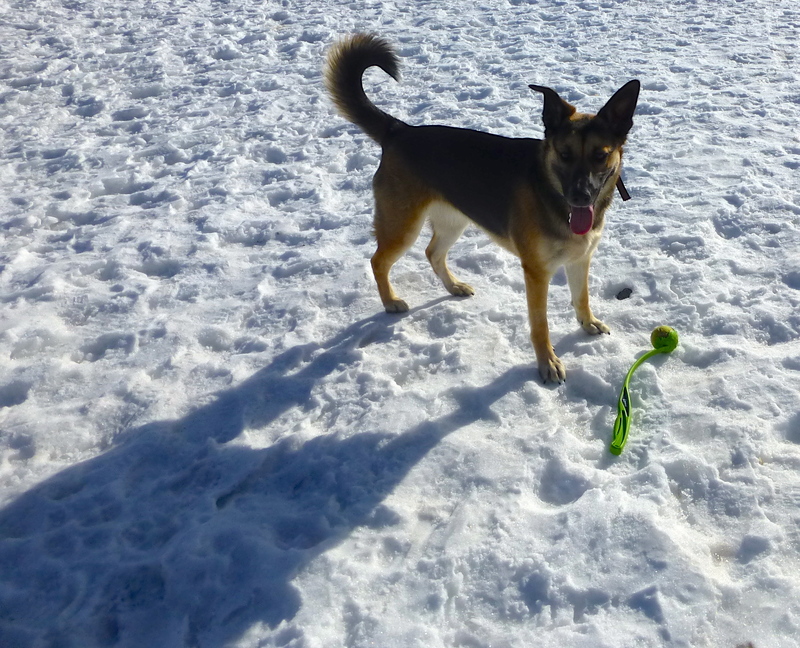 John and I spent a few minutes throwing an ice-crunchy tennis ball for Cholula on the snow-packed grass area outside of the library. We both had thoroughly enjoyed our breakfast. 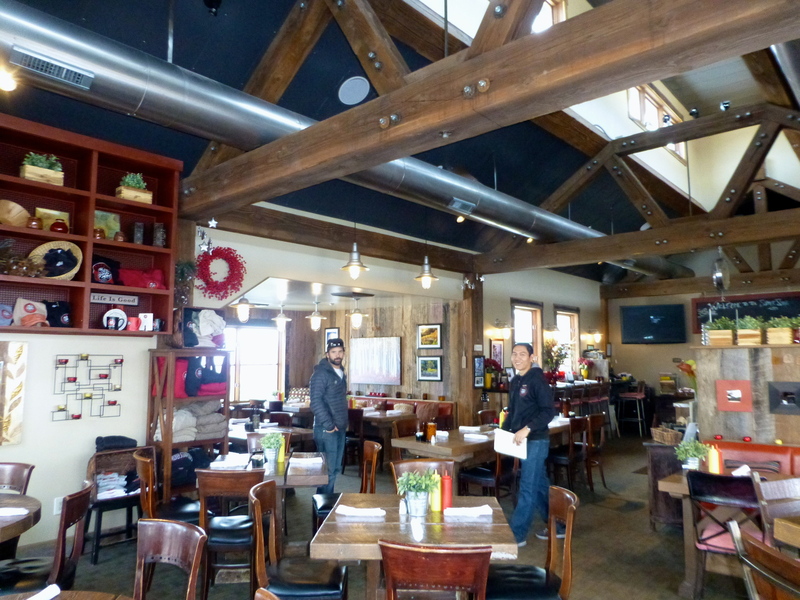 From the friendly and professional service to the thoughtfully prepared food to the cozy, rustic vibe of the restaurant, neither of us would have changed a thing. Except for how busy it wasn’t. I guess it WAS 8:30am on a Tuesday, not 10:00am on a Saturday (the brunch madness hour). 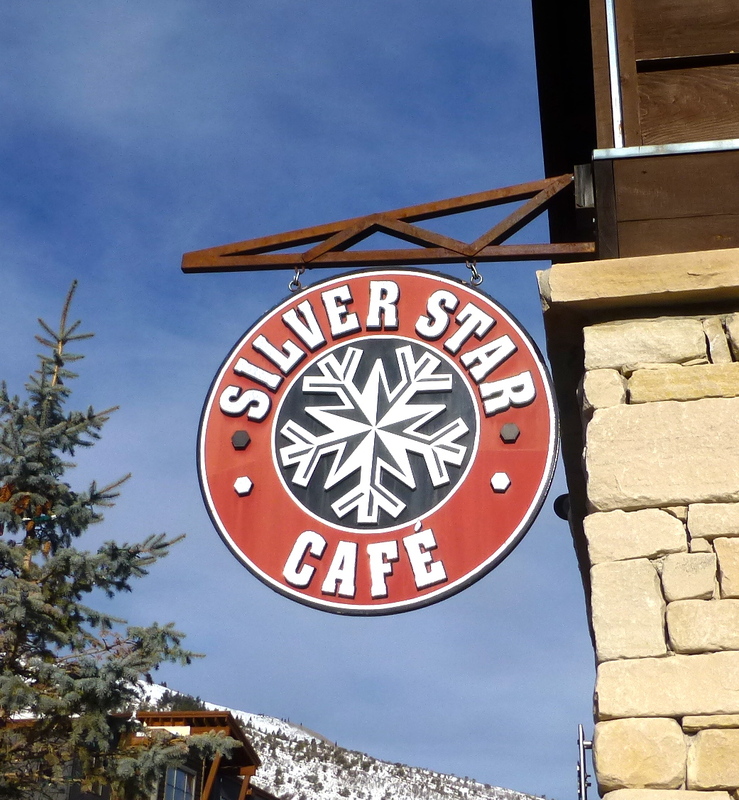 I simply cannot wait to go back to the Silver Star Café. We’ll be telling our friends about it and bringing some along with us. 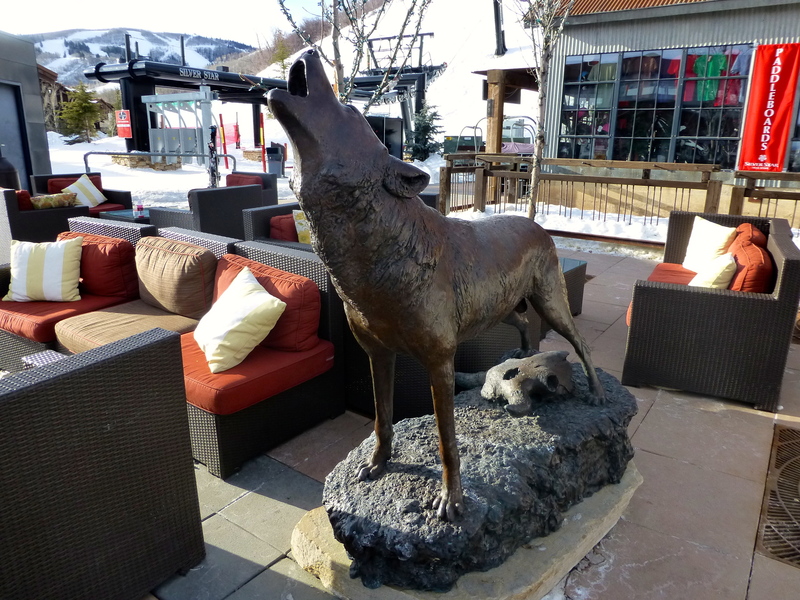 We’re excited to taste-test our way through the lunch, dinner, and après ski menus and enjoy music on the plaza this summer. I’ll be back before then, though. This Sunday, in fact. 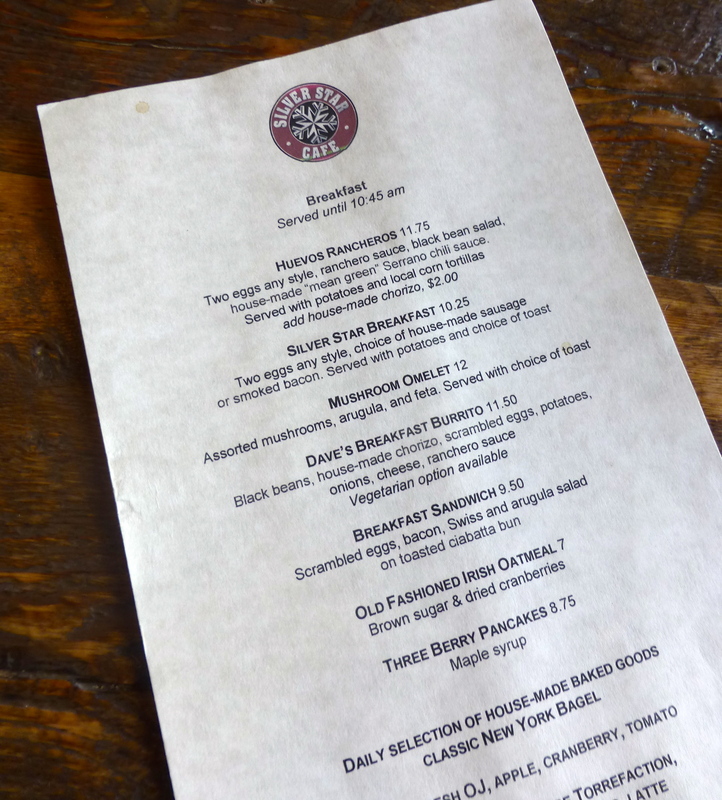 I’ve got brunch plans with a friend- and she needs to know about this place. It’s my new favorite restaurant. Next postTandoori-style chicken (and the World’s Best Chicken Salad). Oh, man. 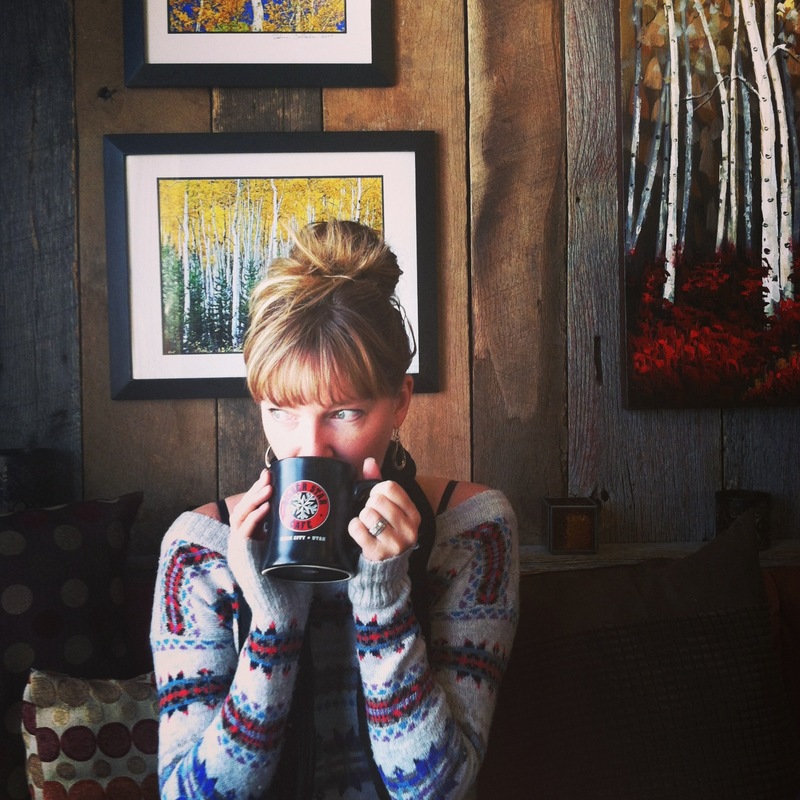 Now I want bangs and a hot coffee. Go with the coffee. Bangs are immediately gratifying but I’m already kind of over them. Coffee, though… always a good choice. 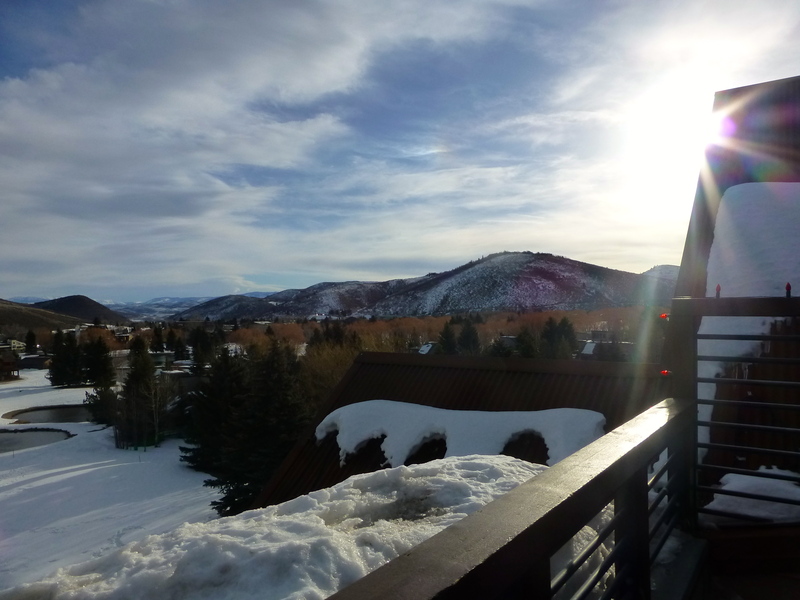 I must make a trip to Park City one day soon!! It IS a little slice of Heaven! On my visit there this weekend, I was lucky enough to meet Jeff. He assured me that they are quite busy with local business as well as tourists, which is fabulous! AND the place was packed. Thank you for adding to my description- you are dead on. I love that the guitar I saw there is actually the owner’s! Leia! We miss you! Thank you for your kind comments here. You brought a tear to my eye, as well as a smile. You are the sweetest! 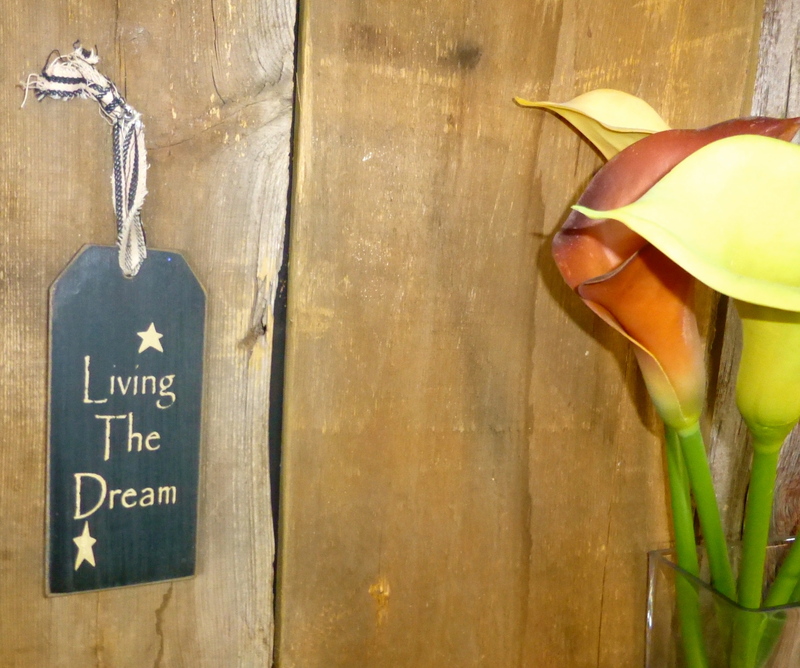 Come visit us next time you are here!